2010 has being an important year for Organization for Security and Cooperation in Europe, as the only chance for a survival of this important organization, legacy of cold war, had being played out. The Kazakhstan Presidency of OSCE had come in a difficult time for the organization. OSCE has being one of the main results of the Final Declaration of Helsinki Conference, designed to create a forum for continuous dialogue between the communist powers and capitalist powers. The long period of the Cold War had seen important moments of tension between the two opposite power`s : USSR and United States, having as center the European continent: Berlin Blockade, Berlin Wall, 1956- Hungary Revolution, 1968- Czechoslovakia Revolution etc. These continuous tensions, on the fringes of European continent and the issue of the frontiers drawn after the Second World War, needed a platform for dialogue and mutual understanding between the Cold War adversaries. The CSCE ( The Council for Security and Cooperation in Europe ), as it was the former name of OSCE, had succeeded in this task of providing a rostrum for declarations, dialogue and détente between the irreconcilable adversaries of the cold war. The period after the collapse of the communist system in Europe assured, after the extinction of Warsaw Treaty, a new period of glory for CSCE. Re-named as OSCE, the organization provided a formula for democratic support tor former communist states and a dialogue and security forum, in a changing world, until the NATO decided to expand and include former communist satellite from Eastern Europe. From this moment, the downfall of the organization had being sharply and rapid. The last of the summits, held in 1999 in Istanbul, failed to offer a new conceptual reconstruction of the OSCE and failed even to open the opportunity for a new high level summit of the organization. The agreement for putting OSCE in a shadow corner was clearly marked , for NATO and United States the organization become superfluous and un-necessary. The security of the European countries become a task for the armed arm of the western world: NATO and the economic and human dimension was entrusted to European Union expansion. For Russia, OSCE had become guilty of becoming an anti-chamber of the NATO expansion and was perceived as a fostering tool for promoting the dismantling of the former Soviet Union, under the name banner of promoting a so called democracy. In 2010, Organization for Security and Cooperation in Europe was confronted with the lack of vision, lack of concept and was victim of an extensive period without a high level meeting, from 1999. The Kazakhstan Presidency was confronted with a negative perception. The promoters of a special kind of democracy where discussing the Kazakhstan track record in fulfilling a hypothetical democracy scale. Other countries, after a failed mandate at the presidency of OSCE, where not to eager to offer to a new comer a red carpet treatment. Finally, the organization was confronted with a lack of resources and visionary leadership and controlled by a conservative state of mind: if we did not need a high level summit for 10 years why we will need one now? If we survive without a reform, why we need a reform today? This where the question`s whispered on the diplomatic corridors of power. In this important moment, Kazakhstan leadership decided to commit resources and interest in offering to OSCE the example of an efficient and active chairmanship, engaging the creativeness of European intellectual elite in an ample debate to renew the concept and vision of OSCE. The appeal of president of Kazakhstan, Nursultan Nazarbayev, presented in Vienna to European elite was clear and un-equivocal: the reform of OSCE and enabling a new vision for the organization, could only result in a common effort of the progressive intellectual`s and leaders of Europe. In this moment I have taken the decision to uphold the Kazakhstan Presidency to OSCE and to nurture an intellectual and academic response to the challenge presented by President Nazarbayev. The initial discussion was concentrated with President of Romania (1996-2000), the fine and impressive intellectual Emil Constantinescu. 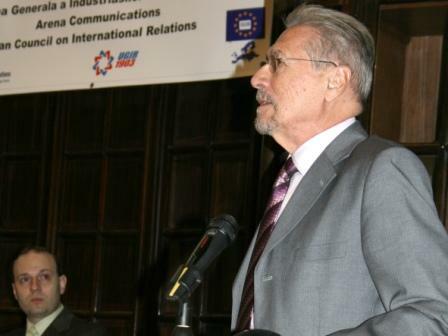 President Emil Constantinescu, with his ample European vision had embraced the idea of a coagulated Romanian and European response to OSCE reform challenge. Together we have shaped the vision of two main ideas that must be emphasized in a Bucharest conference on OSCE: the support for a high level meeting of OSCE and the highlighting of the main topics for a future reform of OSCE. With this discussion, the European elite response to OSCE challenge, mounted by the president of Kazakhstan had started to gather essence. 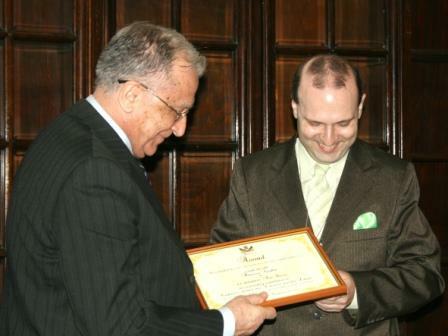 Soon afterwards President of Romania (1990-1996; 2000-2004) Ion Iliescu had accepted to attend and support a Bucharest conference on OSCE. With the presence of two presidents, that supervised the transformation of OSCE after the Cold War and had supported the last high level gathering of OSCE in Istanbul, the European reform project for OSCE had become a major conceptual work of ″renovatio″ (re-building). Along the ambitious project, the presence of the economic community, in this reform debate had imposed as a necessity. OSCE needs a powerful economic impact, need an economic overhaul and also must become an economic center of attraction. Mr. Cezar Coraci had entrusted himself with the task of creating an OSCE economic agenda that would transform the organization in a motor for growth and development. The diplomatic community of Europe, under the leadership of Professor Dr. Mircea Constantinescu, Director of European Diplomatic Academy, had also created a draft for a human security dimension of OSCE. A strong reform project, supported by all the speakers of Bucharest conference on OSCE included: the necessity of reforming the so called democracy promotion arm of OSCE, creating a true and honest democracy framework and offering a new peace and security concept for the Euro-Asian region. Finally, with their impressive moral and political authority Presidents Emil Constantinescu and Ion Iliescu offered their support for a high level meeting of OSCE in Astana. In the concluding coverage of the Bucharest conference on OSCE the main international press outlets considered that Astana High Level Conference of OSCE it is now a necessity. The long trail of shadow and mistrust in Kazakhstan Presidency had being defeated and the intellectual and political support of European elite had clearly shined thru. The President of Kazakhstan decision had played off; Europe had supported his ambitious vision, supported a High level conference in Astana, defeated the mistrust and misunderstanding and created an agenda for reform of OSCE. Kazakhstan president had obtained a full support in his plans to reform OSCE. I must also emphasize that Bucharest Conference on OSCE had started a special relation between Romania and Kazakhstan. Romania had never forgotten that Kazakhstan had the ambition to reform OSCE, to promote an agenda of security at Euro-Asia level and had trusted the Romanian elite to coagulate a European response to Kazakhstan initiative for a new OSCE. 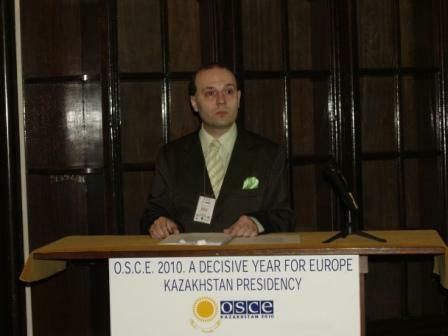 The ideas and the reform plans conceptualized in Bucharest conference on OSCE had become the main issues on the table of the High level meeting in Astana in 1-2 December 2010. The voices of Romanian and European elite had crossed the space and become the main back bone of the reform of OSCE. 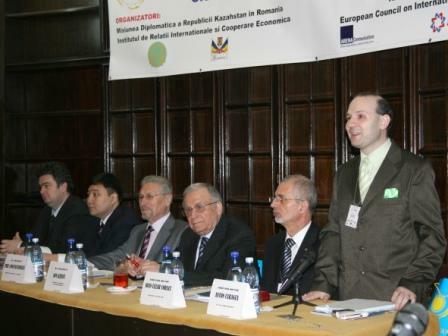 The lesson of the successful European-Asian cooperation of Bucharest Conference on OSCE from 24 February 2010 remain vivid today : OSCE could retained his efficiency, could become one more time a pillar of security and could rediscover his legacy of promoting human rights and authentic democracy. Romania had started a strategic relation in the benefit of European unity and stability and in forging ties with Asia via Kazakhstan. This strategic and visionary relation continuous today and the journey for creating a new world of peace and security with the support of Romania and Kazakhstan is a never ending story.